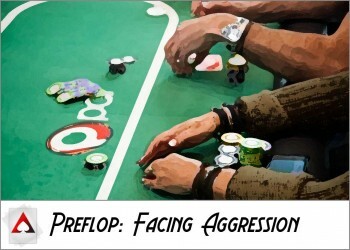 When someone is the aggressor pre-flop and then is the first person to bet on the flop, that bet is known as a continuation bet because it’s a continuation of the pre-flop aggression. 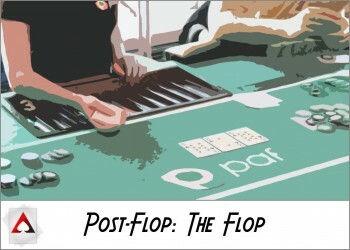 Because continuation bets are so common and happen in such a high percentage of hands that see a flop, they are the basic building block for understanding the majority of post-flop play. It’s important to realize that there are only a few basic elements that go into understanding a continuation bet: You have a range, your opponent has a range, someone has the positional advantage and someone has placed a bet. Understand these elements, and you can gain a lot of insight into how continuation betting and other post-flop plays work. As we’ve discussed in previous parts of this series, having an appropriate balance of value bets and bluffs is important in this part of the game as well. 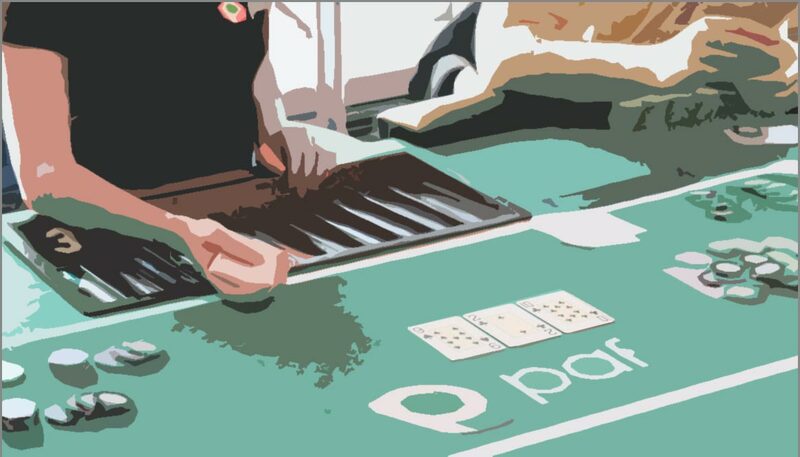 If you only make continuation bets for value, then your good hands will rarely get paid off since people will automatically know that you have a pretty good hand after they see you play for a while. Along these lines, you have to incorporate bluffs into your repertoire. With that having been said, you have to be smart about your bluffs and not just bluff every single opportunity you get. 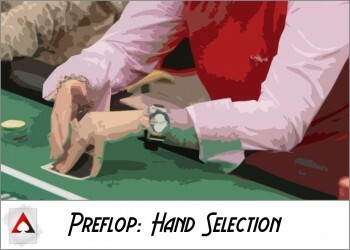 Different flops will put your in situations where you are more likely to have good hands than your opponent, and these spots lead your opponent to fold more often. 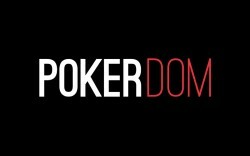 This means more profitable bluffs for you. This brings us to the idea of semi-bluffing and why you have to be aggressive with draws. New players have a tendency to want to check and call with things like flush draws, open-ended straight draws and gut-shot straight draws with overcards because they feel like they can only put in a lot of money with made hands. This is misguided, and it’s a habit of passivity that comes from not understanding just how strong their hand actually is. Imagine you have a flush draw and your opponent has bottom pair. 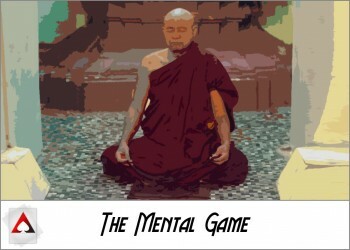 If you bet, then chances are that you will get your opponent to fold the best hand. If you are called, however, then you still have a chance to win the hand. This is the basic idea that drives aggression with draws, and it’s virtually always better to make continuation bets (and to sometimes raise when facing continuation bets) with draws like this in terms of how much the hand will affect your bottom line in the long run. 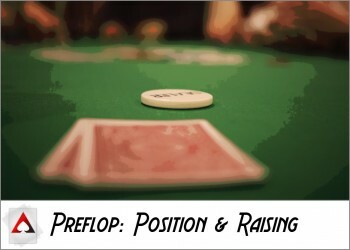 Position makes a really big difference post-flop, especially with continuation bets. If you’re out of position, you aren’t going to have the option to ever check behind and know 100 percent that you’re going to see the next card for free. You also know that any bet you make is going to have a chance to be faced with a raise, and any check you make can be faced with a bet. Along these lines, you’ll tend to semi-bluff with draws more often out of position than in position. The reason for this is that the value of checking is actually lower since you won’t always see a free card, so betting is going to be the most profitable option more often. Also, you’ll have to be careful to sometimes check with hands that you might want to value bet so that your opponent doesn’t automatically know that you checking from out of position means you have a weak hand. There is one particular kind of play that makes continuation betting in position more powerful, and it’s called the free card play. 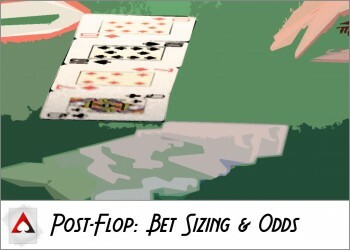 We’ll cover this in more detail in the next part of the series, but the basic idea is that if you continuation bet the flop, and your opponent calls, then you will most likely be checked to on the turn. This means you’ll almost always get the option to just check through the turn to have a pot that’s of a relatively small size on the river. This idea of being checked to on the turn when you’re in position means that you’ll have a lot more control over the size of the pot and how the play goes throughout the hand. With hands like top pair with a weak kicker, you don’t necessarily want to build a huge pot, but you do want to get some value from worse hands. Being able to keep the pot from getting too big while still getting a bet in is key in these spots, so they’re a lot easier to play in position. While there are plenty of reasons to make continuation bets, you’ll also find that well-timed checking with a strong hand can provoke your opponent into making bluffs that you can snap off. This is especially true if the deck is “crippled” in a situation like holding AK on a board of AAK. There are so few cards that your opponent could have to actually make a hand that you’ll almost certainly get more value from inducing bluffs than outright value betting. The continuation betting game is pretty straight-forward and easy to understand when you view it in terms of the elements we described earlier. 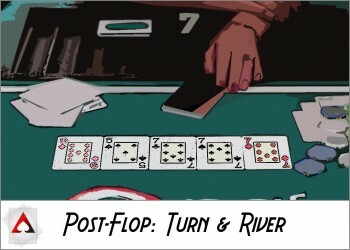 Once this framework for continuation betting is understood, we can expand it to include other types of post-flop plays and situations like we’ll do in Post-Flop Basics III. 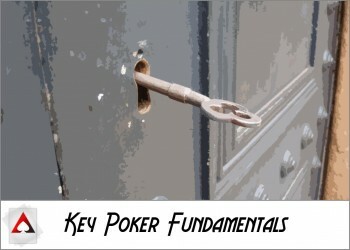 This article is part 6 of an 8 part series from New Player Guide: A Shortcut to Playing Better Poker. You can navigate to the next article below, or choose a specific article from the series.